Bake My Day! : The Babes have Buddies; Shepherd’s Bread in a pot, the round-up! The Babes have Buddies; Shepherd’s Bread in a pot, the round-up! 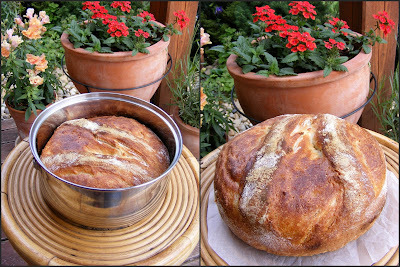 A first time Buddy from Switzerland: Ckay of Sweet and That's it baked her Pane di Pastore in two separate pots. Igusti showed us her result and shared her thoughts on Facebook. She lifted the lid on her –gorgeous white- cloche to see her loaf sprung a belly button… can we all say aaaah..cute! A wonderfully shaped loaf baked by Sandie at Crumbs of love. From reading her post I guess this recipe might be just what she needed to try her new oven and terra cotta baker! 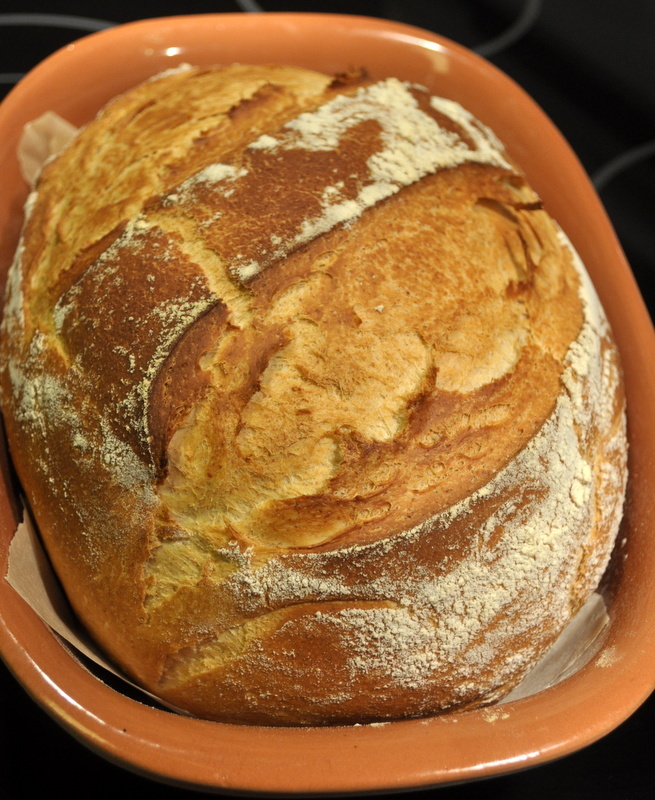 Bread song presented us with a 50% whole-wheat sourdough variation baked in a dutch oven. At The Fresh loaf you can read her account on the baking experience plus a great spreadsheet with ingredients and proportions. A last addition all the way from Hungary! Magy baked a gorgeous fluffy loaf from this recipe; she used fresh yeast and baked it ina metal pan in the oven! Wow, you don’t even need a clay baker to get a gorgeous result: hop over and visit. Thanks to all of our Buddies for baking with us this month, we enjoy seeing the diversity in breads and reading all of your thoughts about the recipe. It’s so much fun to bake together! If you are intrigued and decide to bake this anyway –without the Buddy Badge this time- you can find the recipe here! Excellent bread choice and round-up, Karen. I can't stop laughing at the wonderful photo of the sheep at the top of the post. That is just a great cartoon! and a really fabulous bunch of Buddies. What a lovely collection of breads everyone has baked! Thanks for allowing 'buddies' to participate! 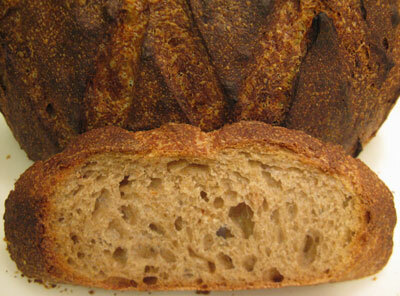 Great round up of beautiful breads! I need to go buy a cloche now... good to know I am not the only one who uses a recipe as an excuse to buy kitchen equipment! Wow! All the bread baked by your baking buddies look amazing! Will visit all of their blog to check their techniques and recipes. Thanks Zoe, have fun browsing! 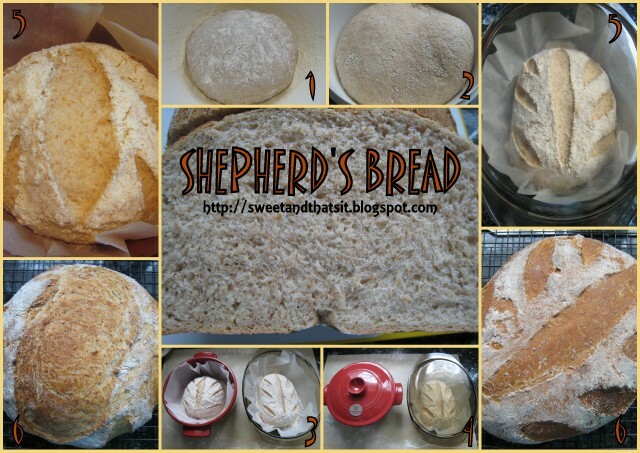 Beautiful breads and great round-up...and that sheep caption is priceless! It's fun to see how many different types of pot the bread was baked in. Lovely slashes, too. I had so much fun reading it and enjoyed the view of the beautiful, yummy breads. The picture with the sheeps is gorgeous: cannot stop laughing! Thanks for allowing us Buddies to be part of such a great experience and for all the support you give in FB. Thanks for the great round up. What a nice selection of the same recipe. I love the sheep, they bring back memories of the Dutch "Wadden-eilanden", Isles of Mudflats (sounds better don't you think). 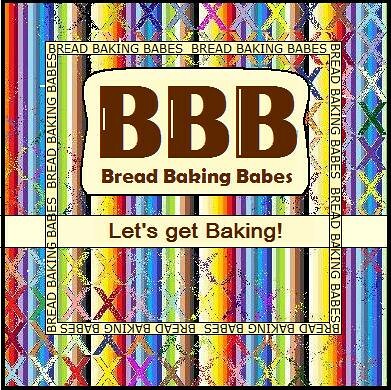 I'll be back for next BBB-Buddy Bread Bake. You're welcome Connie, would love to see you back!